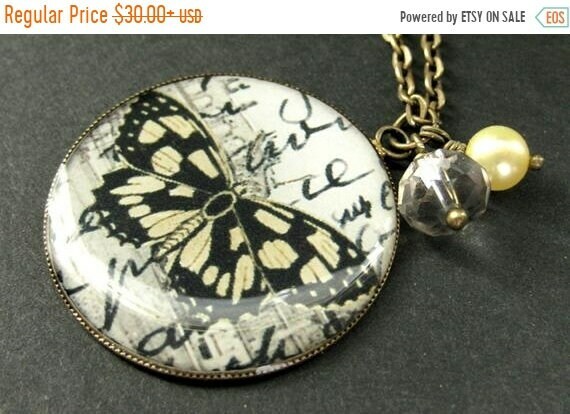 EASTER SALE Yellow Butterfly Charm Necklace. Fresh Water Pearl and Crystal Charm Necklace. Handmade Jewelry. Yellow Butterfly Charm Necklace. Fresh Water Pearl and Crystal Charm Necklace. A shimmering taupe crystal and sunny yellow fresh water pearl have been combined with a 30mm handmade pendant depicting a pretty yellow and black butterfly in this handmade charm necklace. 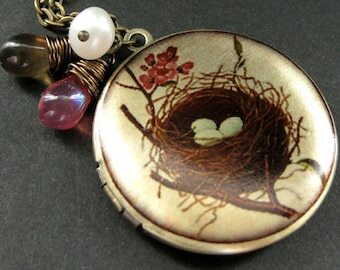 This handmade charm necklace comes with a matching bronze chain. EASTER SALE Pinky Swear Necklace. Fresh Water Pearl Charm Necklace. Friendship Necklace. Handmade Jewelry. EASTER SALE Green Leaf Necklace. Charm Necklace with Fresh Water Pearl and Clear Teardrop. Handmade Jewelry. EASTER SALE Silver Musical Note Necklace. Fresh Water Pearl Charm Necklace. (Choose Your Color) Handmade Jewlery. EASTER SALE Teal Butterfly Charm Necklace in Bronze with Teal Crystal Charm and Genuine Pearl. Handmade Jewelry.